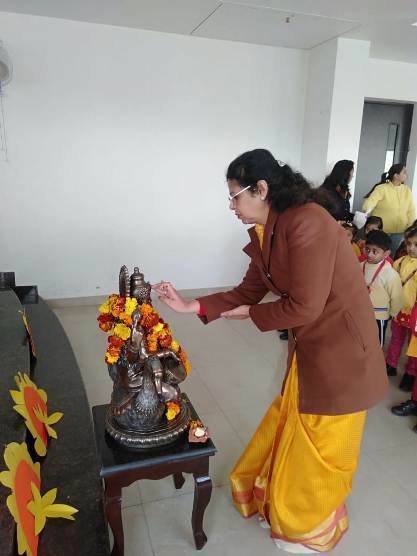 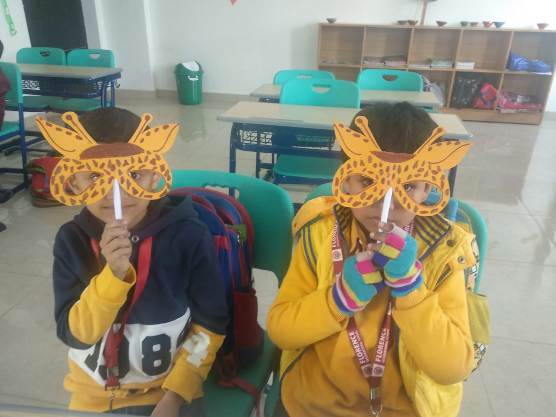 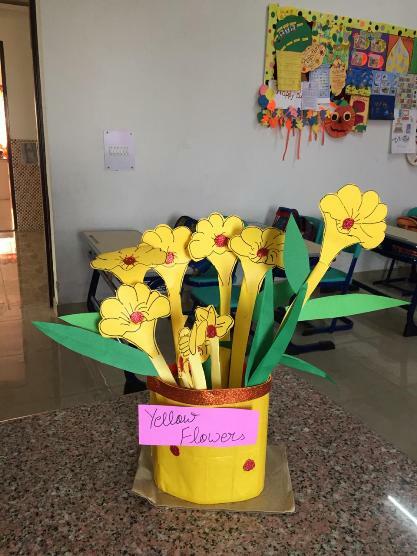 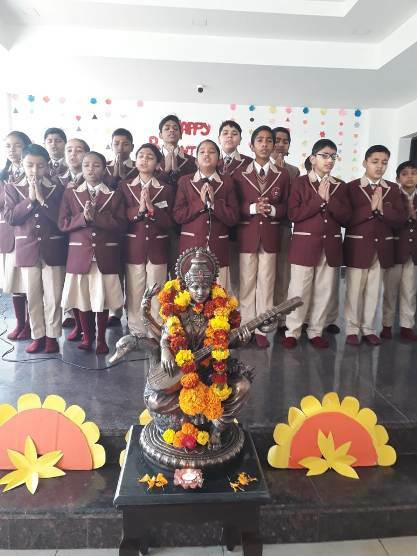 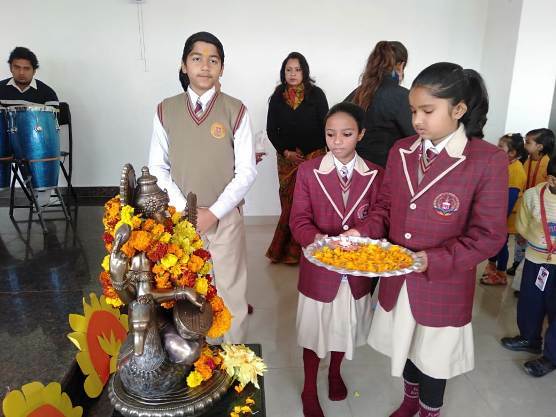 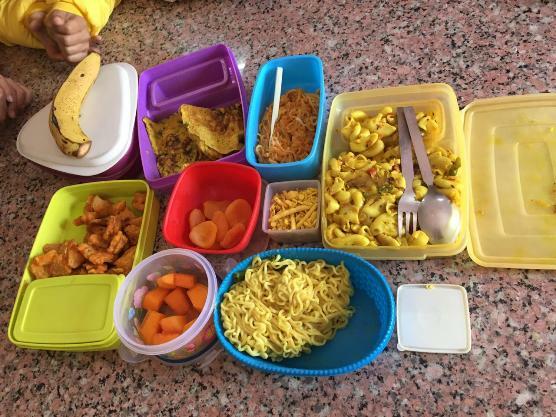 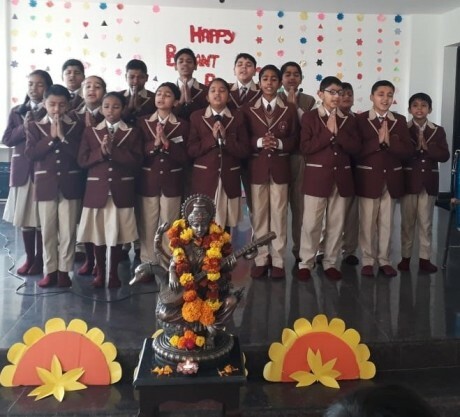 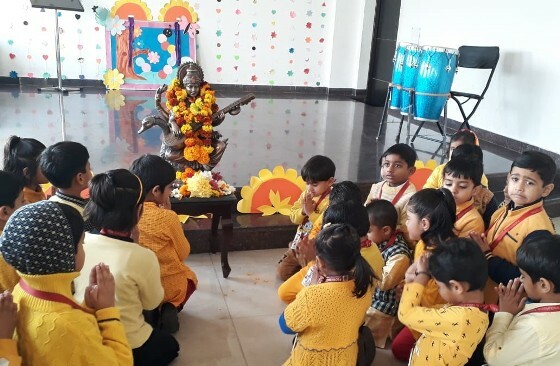 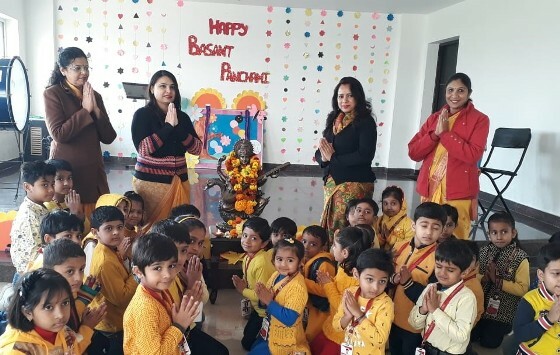 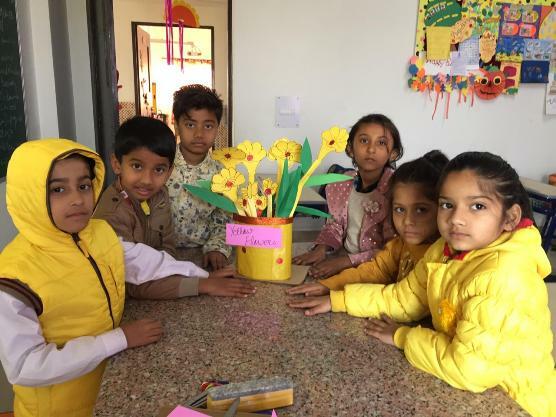 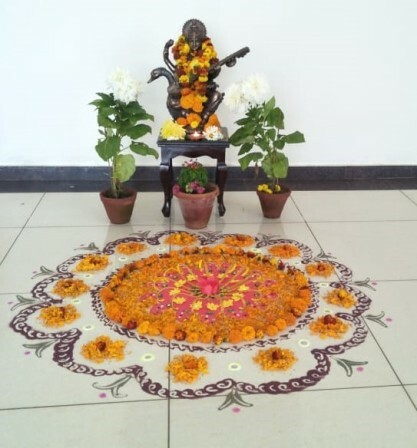 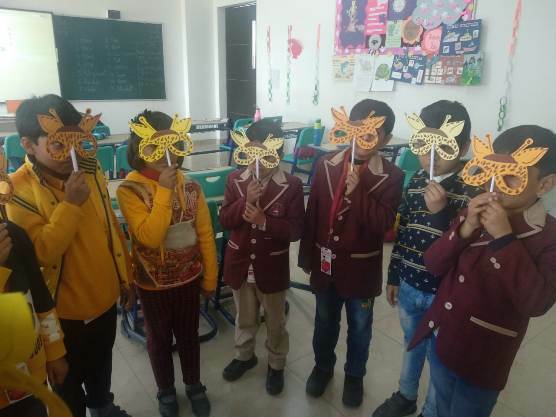 To welcome the onset of spring season glorious day of Basant Panchami was celebrated at Florence International School Greater Noida. 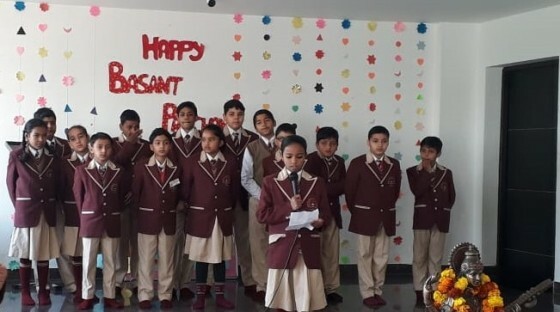 A special assembly was also organised along with the class rooms activities. 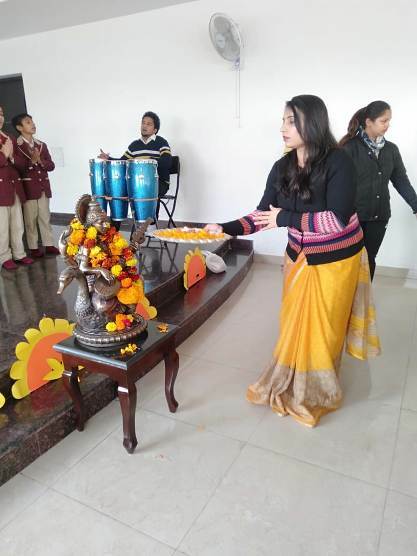 The celebrations commenced with the Saraswati Vandana, invoking the blessings of Goddess Saraswati for seeking knowledge and wisdom. 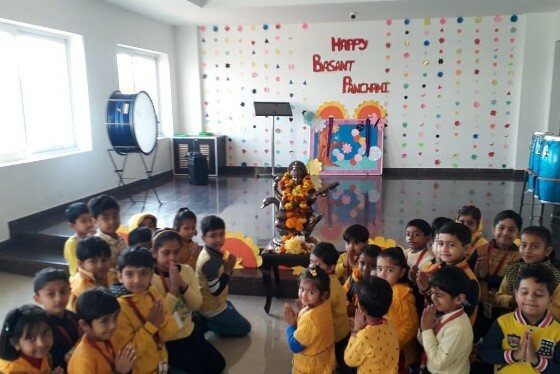 Students from Pre Nursery to Class II came dressed in yellow attire along with yellow flowers looked like golden stars captivated everyone. 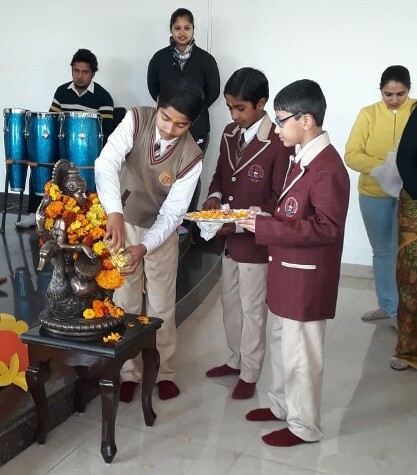 Prasad of laddoo was distributed among everyone in the school.